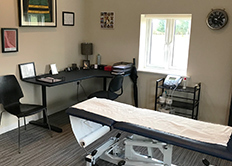 Whether you have a recent injury or in need of rehabilitation of an old one, I can offer treatment, ultrasound, help and exercises to speed up recovery. This is a deep tissue treatment which although may not be the most relaxing or enjoyable(!) is effective for relieving pain and improving recovery from exercise. 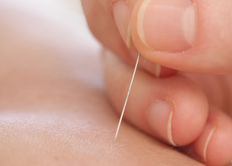 Also known as myofascial dry needling for muscle pain. It can help in spasmed muscles by relaxing them and is used for a variety of musculoskeletal problems. You don't actually need to have a specific injury or play sports to have a massage. A deep tissue massage can help in the relief of stress and day to day aches and pains. Includes and uses acupressure Thai massage techniques to improve motion and muscular strength, reducing pain and increasing mobility. This uses Thai foot sticks to stimulate reflex points and includes a therapeutic massage to legs and feet. Benefits are improved circulation. Helps remove toxins and boosts the immune system. 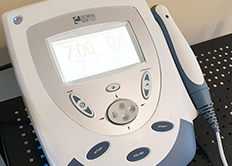 Helping you regain function or reduce pain after an injury, illness or surgery. 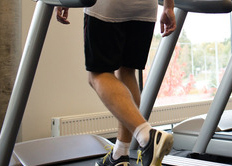 Rehabilitation exercises are an important part of overall recovery. Using high frequency sound waves (which cause vibration), to decrease pain and improve joint function. Is used in conjunction with massage therapy treatments.